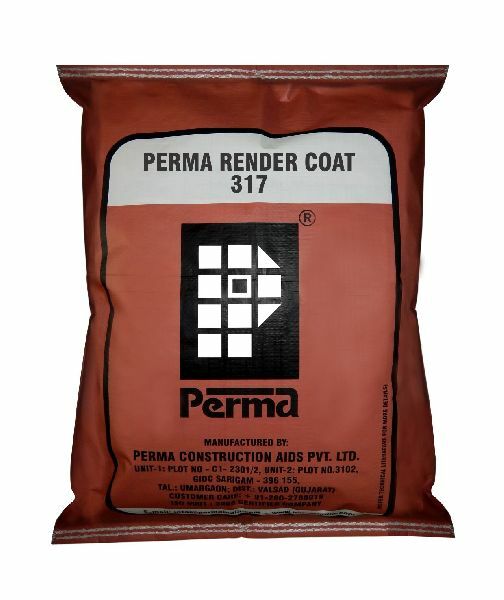 Perma Render Coat is a specially formulated mortar with Portland cement graded fillers and polymers to meet the requirement of waterproof crack-free thin render. This Perma Render Coat is used for application to walls and ceiling. We are known as the best Manufacturer, Exporter and Supplier of the finest quality Perma Render Coat in the market. We provide Perma Render Coat at pocket friendly prices. Primary Use : Perma Render Coat is ideally suited for rendering concrete surfaces such as RCC walls and ceiling. It is best suited for filling up the undulations in the normal plasters. The product can be used for rendering brick works and block works. It could also used as a general purpose non-shrink crack filling and patch work repairing compound.